“Inner Sea” is a journey inwards, delving into the hidden ocean of unconscious dreams and memories. Melodies tell stories of key moments, anchoring certain points in one’s life and the experiences and sensations they reflect. Giving them sounds to breathe and mirroring the soul in unseen depths, these memories are stored eternally in a shelter floating within this inner world. In the afterglow of rave’s white heat, the mid-90s were a period of going as far out in all directions as possible – and Luke Slater’s The 7th Plain tracks were certainly about exploration of the deep space of the imagination. Cosmic, analogue, orchestrated, they still represent some of the most emotionally intense music ever to come out of the techno realm. Whether built on percussive frameworks or sweeping nebulas of dissipated sound, Slater’s synthesizers still sing space-travelers’ tales compellingly and beautifully. In other words, as Luke Slater puts it, in the mid-90s, they were “part of the night, part of the experience… where ideas could be shared.” And like Global Communication, Mira Calix, The Future Sound of London, the Artificial Intelligence generation, Slater’s 7th Plain was a response to those hallucinatory, spiritual, but still social spaces at the heart of underground communities – and the magic is still strong in it. Aside from the special vinyl boxset (6×12“ LP), which includes Chronicles I – III, limited edition stickers, an essay by Joe Muggs and a complete download code, all releases are available individually on CD, 2xLP and for the first time in digital formats. Im Abendrot des Loderns von Rave wurde Mitte der Neunziger möglichst frei und weit in alle Richtungen gedacht – und die Stücke von Luke Slaters The 7th Plain stellten den Klang der Erkundung tiefster Gedankengänge dar. Kosmisch, analog, orchestriert sind sie auch heute noch einige der emotional-intensivsten Musiken, die Techno je hervorbrachte. Entstanden aus perkussiven Konzepten und interstellaren Wolken aufgelösten Klangs, erzählen Slaters Synthesizer auch 25 Jahre später noch unwiderstehlich und schön die Geschichten Weltraumreisender. Dem geschuldet wurde 2016 das Ostgut Ton-Sublabel A-TON mit The 7th Plains Chronicles I gegründet und etablierte sie damit als Plattform für Archiv-, Ambient- und artverwandte Veröffentlichungen. Die erste Zusammenstellung beinhaltete Klassiker der Alben My Yellow Wise Rug und The 4 Cornered Room zum einen und zuvor unveröffentlichtes Material zum anderen, mit dem Ziel, einen anderen, neu gemasterten Rahmen für Slaters futuristische Vision aus der Vergangenheit anzubieten. Mit der Veröffentlichung von Chronicles II und Chronicles III als auch einer speziellen Vinyl-Boxset-Edition geht die Reise tiefer in den weiten und inneren Raum. Wie ihr Vorgänger teilt sich Chronicles II auf in bereits erschienenes Material vorab genannter Alben, aber auch vier ungehörte zukünftige Klassiker: „Silver Shinhook“, „Wand Star“, „I Think I Think Too Much“ und „JDC“. Demgegenüber besteht Chronicles III rein aus Musik des General Production Recordings-Labelkatalogs, ist stilistisch weniger in Richtung perkussivem Technofunk sondern mehr gen freier gebrochener Rhythmik gedacht – wobei „Lost“, „Time Melts“ oder „Millentum“ als standhafte hybride Säulen für beides stehen. Alles in allem wird beim Hören der dreiteiligen Chronicles klar, dass die Musik von The 7th Plain aus demselben emotionalen Stoff gewebt ist, stark verbunden ist mit dem Hinterstübchen, dem Chillout, der Afterparty, der Kopfhörerreise. Diese sollten nie als separate Zonen des Dancefloors begriffen werden. Mit Luke Slaters Worten anders gesagt, waren diese Musiken Mitte der Neunziger „Teil der Nacht, Teil des Erlebnisses … wo man Ideen austauschen konnte.“ Wie auch Global Communication, Mira Calix, The Future Sound Of London, die Artificial Intelligence-Generation war Slaters 7th Plain eine Antwort auf jene halluzinatorischen, spirituellen aber doch sozialen Räume im Kern der Undergroundszenen – deren Magie mittels der Musik die Zeit überwindet. Das spezielle Vinyl-Boxset (6×12“ LP) beinhaltet Chronicles I – III, Sticker, ein Essay von Joe Muggs und einen kompletten Downloadcode. Daneben sind alle Chronicles-Teile einzeln auf CD, 2xLP und erstmals in digitalen Formaten erhältlich. Soviet Utopias; The Ninth nuclear city of Pripyat was the title to a personal investigation about a town that has been largely forgotten by history; Pripyat. Located in the Northern Ukraine, Pripyat was situated just next to the city of Chernobyl and served as the second largest municipal to accommodate power plant workers and scientist of the former Soviet Union. Then one fateful event changed the lives of these 50,000 individuals, leaving the entire nuclear city and its landmarks vacant. Crosspolar, himself a resident of a former Soviet state, sonically explores this topic on 51.2763° N, 30.2219° through the aid of FM-transmitters and receivers, re-recording audio in physical locations to imprint the sonic characteristic and traits of the former nuclear city. The Conceptual framework of the album was conceived from a series of documented interviews, all held with children of former Pripyat residents, recorded by the label with the consent of each participant. The outcome see’s Crosspolar reflect on the subject through a sonic palette that fittingly recalls both, utopian futurism and dystopian void. Themes of decay and desolation are as present as moments of emotional reconciliation and monumental grandeur. In the end the album forms the basis for a cultural sound exchange, an experiment that prompts the question; in what ways can we can reapproach history through a sonic lens? And while these pieces remain personal insights they can also act as conduits to raise awareness about the subject matter and further act as a basis for exploring our obsession with the past and how we choose to remember it. 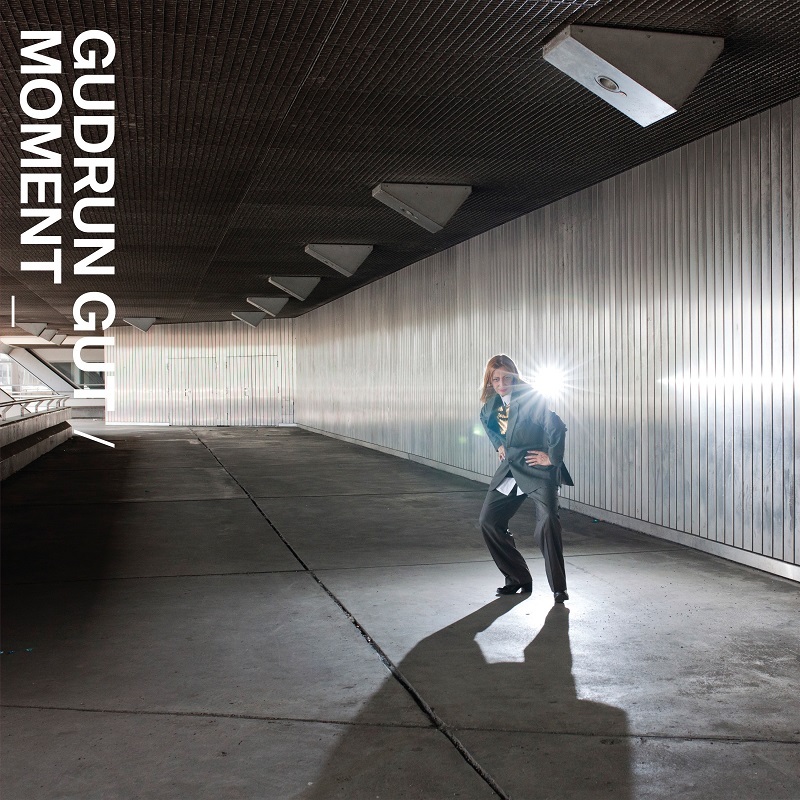 German electronic originator Gudrun Gut’s latest solo collection distills a lifetime of persuasions and obsessions into a compelling 14-track statement: “Moment.” Stark, somber, sultry, and clever, the sides slide between ballad and lament, synth-pop and spoken word, anthemic and abstract. 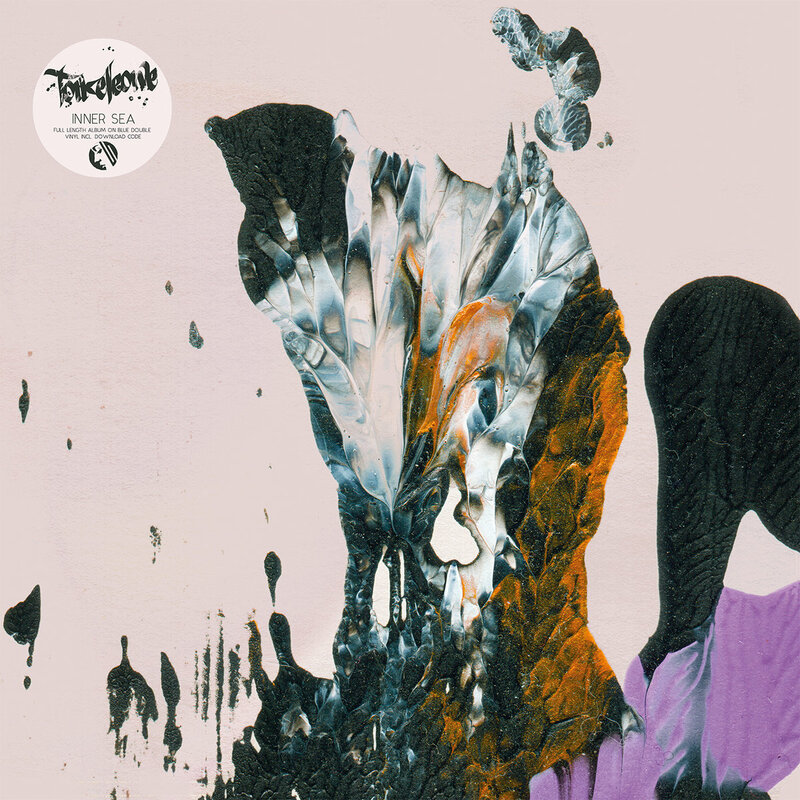 If anything “Moment” finds Gut’s muse at its most enigmatic, threading shades of motorik hypnosis, technoid laboratory, coldwave pop, glitchy gauze, and even a gender-bent Bowie cover (“Boys Keep Swinging”) into its eclectic web. It also showcases the depth and detail of her voice, reserved but suggestive, intoning blunt truths and opaque poetry in both German and English. Gut also works extensively in the technical sector of the recording industry, as a producer. Recent projects have included collaborations with Antye Greie (AGF) and Hans-Joachim Irmler of Faust, participating on the advisory committee for Musicboard Berlin, and performing at The Royal Albert Hall with Âme as part of an Innervisions label night.